Support our Armed Forces & their families. South Bristol's only Drug and Alcohol Support Services will close unless we bridge our funding gap. A team of volunteers are organising 10 days of literary loveliness in October 2015 and we need your help to make it happen. Development of the acta centre in Bedminster, home of acta Community Theatre, a charity who uses theatre and the arts to bring people together. Help us grow, reach the wider community and invest in crucial items and services including a mega juicer! A Green County Councillor for Cambridgeshire! Co-operative Congress is the annual gathering of the co-operative movement in the UK. We want to put Green politics right at the heart of it. HELP ME INSTALL A WATER SUPPLY AT A SCHOOL IN TANZANIA! I'm Dom B Coll, I'm 16, and I'm raising funds to travel to Tanzania to help install a clean water supply at a school in a poor rural area. In June I am part of a trip with my school, Ashton Park, where we are building and painting classrooms as well as a clean water system in Tanzania! I am part of the Inspirations Expedition to Africa in June 2015 with my school, Ashton Park. Please help me raise funds for this trip. Help the Greens Surge in Cambridge! Only a few days left! Every donation will help our final push to elect a Green MP for Cambridge - Rupert Read. Everyone should have the opportunity to vote Green. Help us fund the campaigns for Green candidates in South West Herts and Hemel Hempstead! The stylish, colourful and unique Fishee Designs Photo Booth needs your to help throw some glitter and magic at us so we can take over the world! Vote Green in Bristol North West for genuine change and real hope in a sustainable future for all. We are launching a jazz club for young people at The Cookie in Leicester. We think this is the first of its kind in the UK. Cambridge should have the opportunity to vote for and elect a Green candidate in the 2015 General Election. Help us get Rupert Read elected! Applied Theatre Action Initiative is opening up a world of positive change to young people in Bristol. 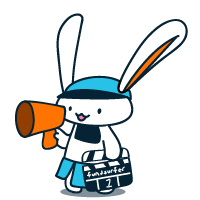 Fundsurfer is raising funds for a Yuki mascot suit! We have a whole marketing campaign ready to go based around us buying a full size Yuki mascot suit and putting breakdancers and stuntmen in it. The Bristol Volunteers Card project will partner with local businesses to reward volunteers for all the hard work they do in our city.